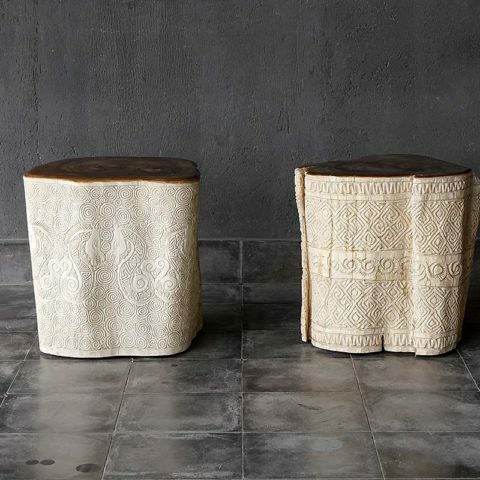 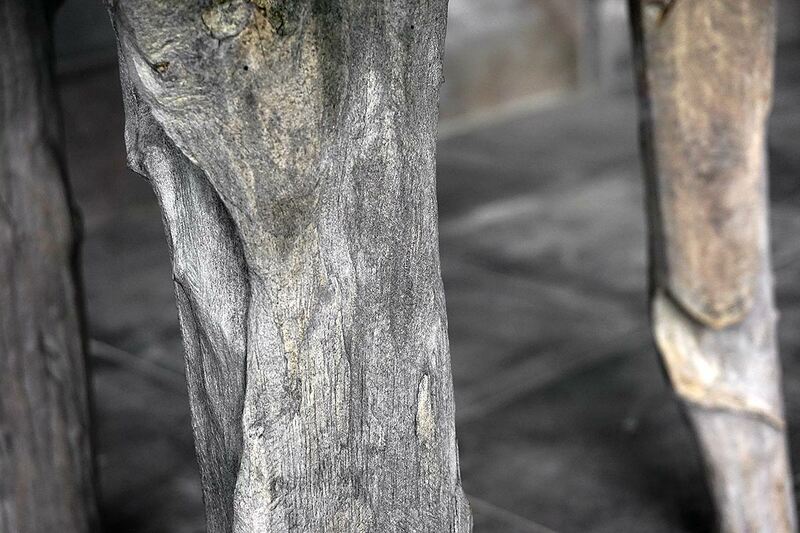 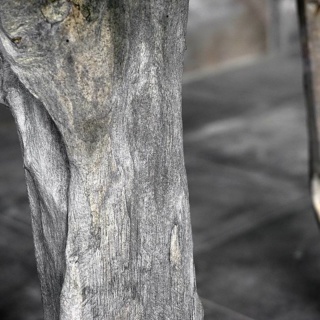 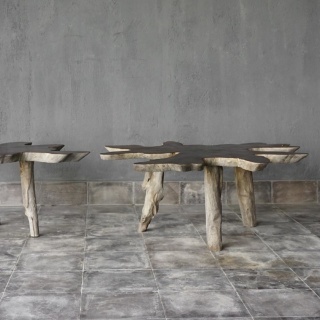 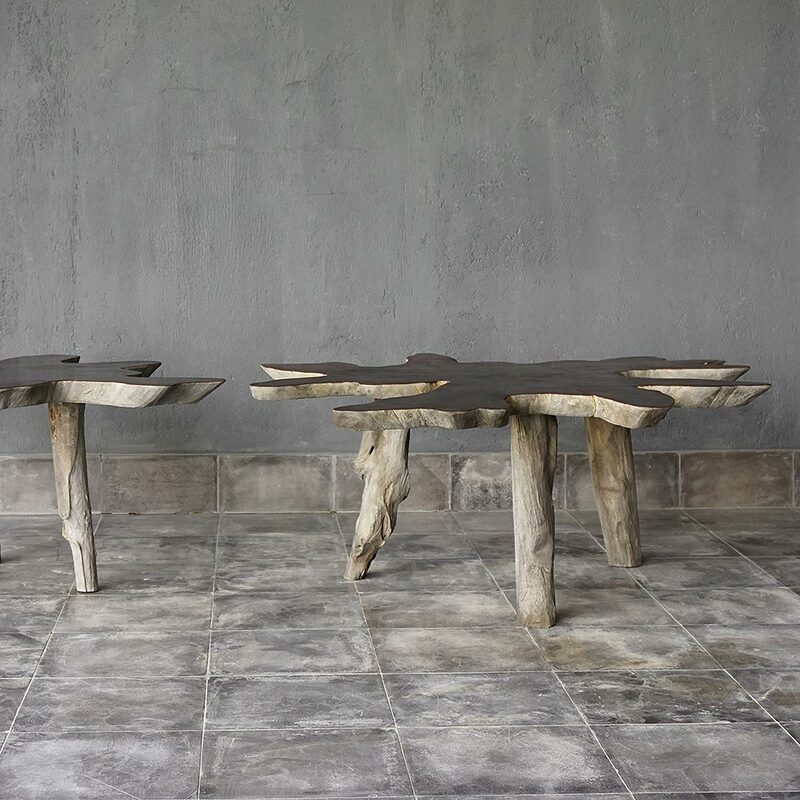 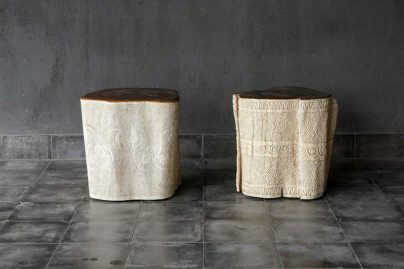 UNIQUE SIDE TABLES HANDCRAFTED FROM RECLAIMED TEAK ROOT SLABS. 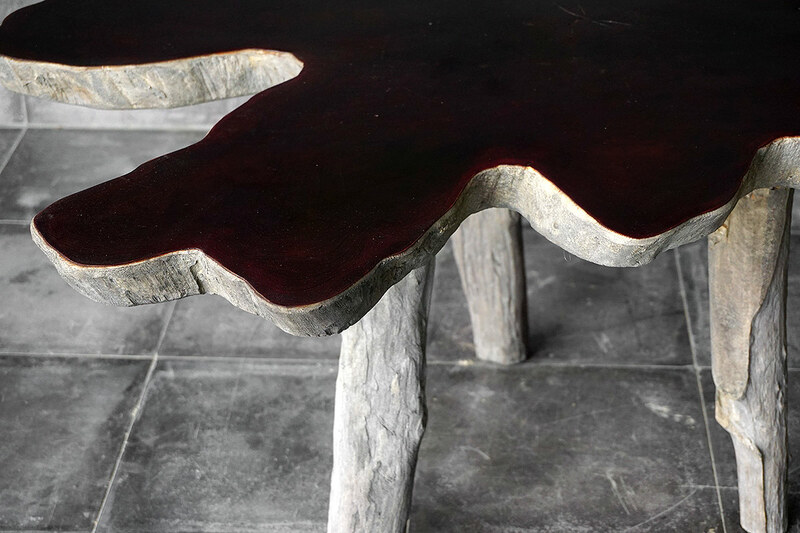 TABLE TOP IS NATURAL BROWN WITH VARNISH FINISH. 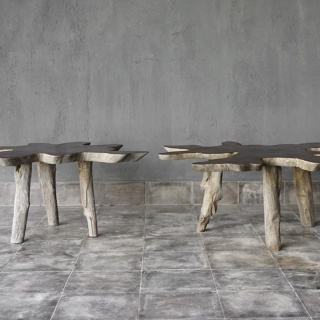 LEGS AND SIDES ARE WEATHERED, ASH GREY FINISH. 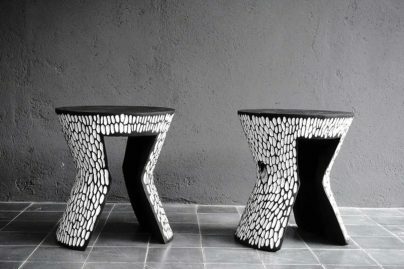 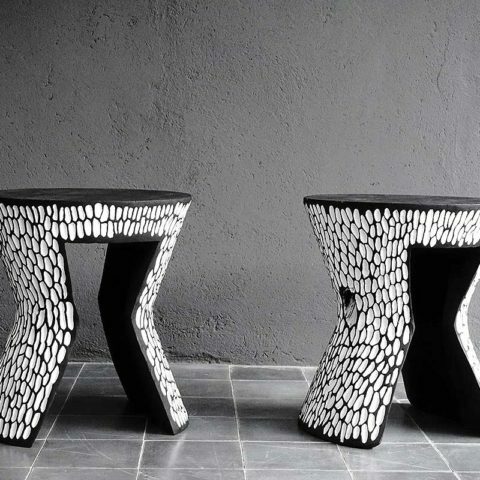 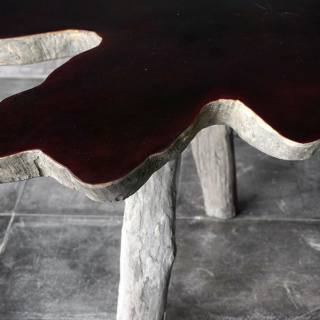 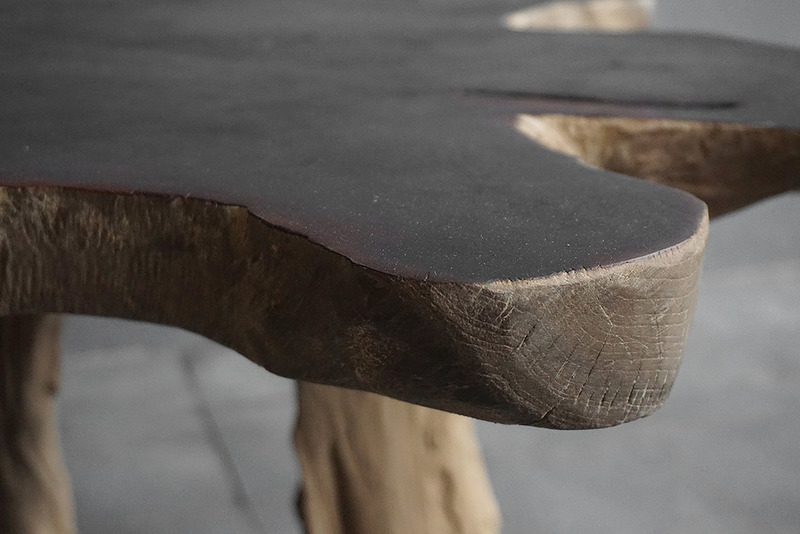 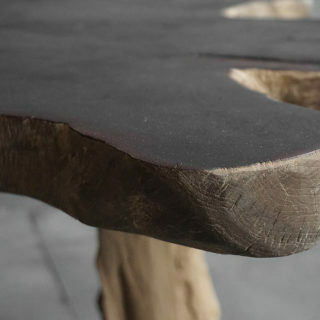 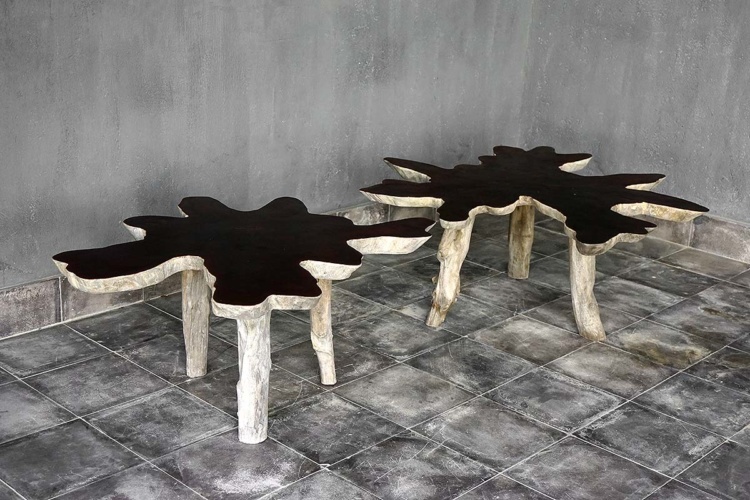 EACH TABLE WILL VARY DUE TO THE NATURE OF THE FOUND MATERIALS. 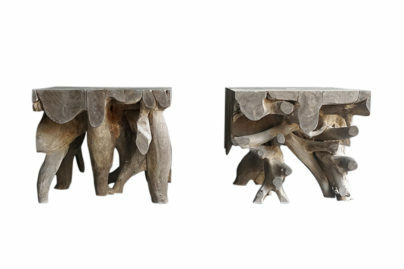 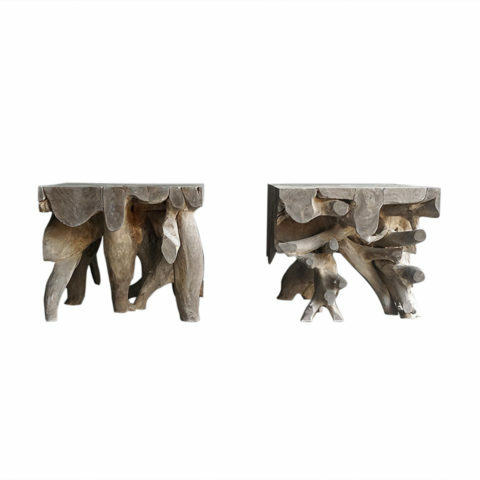 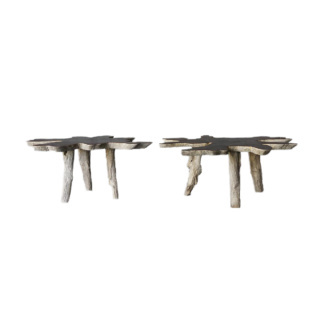 TABLE HEIGHT IS A CONSISTENT 16\", WIDTH WILL VARY FROM APPROX 24 - 28\" (DEPENDING ON SLAB). 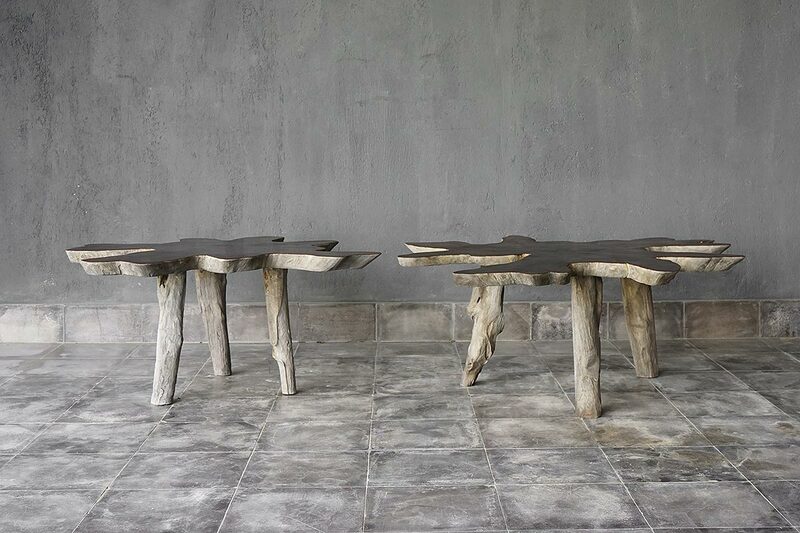 TABLES SOLD SEPARATELY.